The Rio Olympic Games has turned on the best possible care for the horses taking part in the equestrian events, with a hi-tech veterinary facility like no other. Located at the Deodoro stables, the 1000 sq metre horse clinic features everything needed to keep more than 200 horses from 43 countries fit and well throughout the Rio 2016 Olympic Games, with specialists ready to care for every need around the clock. Tents housing banks of cooling fans, used for both the equine and human athletes, are available at the finish of the eventing cross country phase, and next to the training and warm-up arenas for jumping and dressage, keeping Rio 2016’s most-muscled athletes chilled. Wolff, who will be working directly with Olympic Veterinary Services Manager, Brazil’s Juliana de Freitas has been the Brazilian Equestrian Federation’s head veterinarian for the last 15 years. He was Brazilian team vet at the Seoul and Beijing Olympic Games, and runs his own practice in Sao Paolo specialising in horses competing in the three Olympic disciplines – Jumping, Eventing and Dressage – and racing. “Our horses always deserve the very best, and at these first Games in South America, they’re getting just that,” Wolff said. Just as it should be. 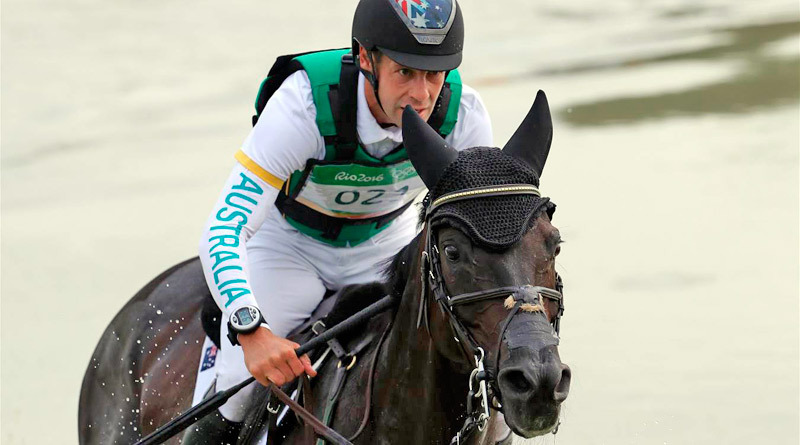 Equestrians are amazing athletes who deserve top notch care for them and their horses!